Specifically designed to provide quick reference guidance on helicopter evacuation of military and civilian casualties. 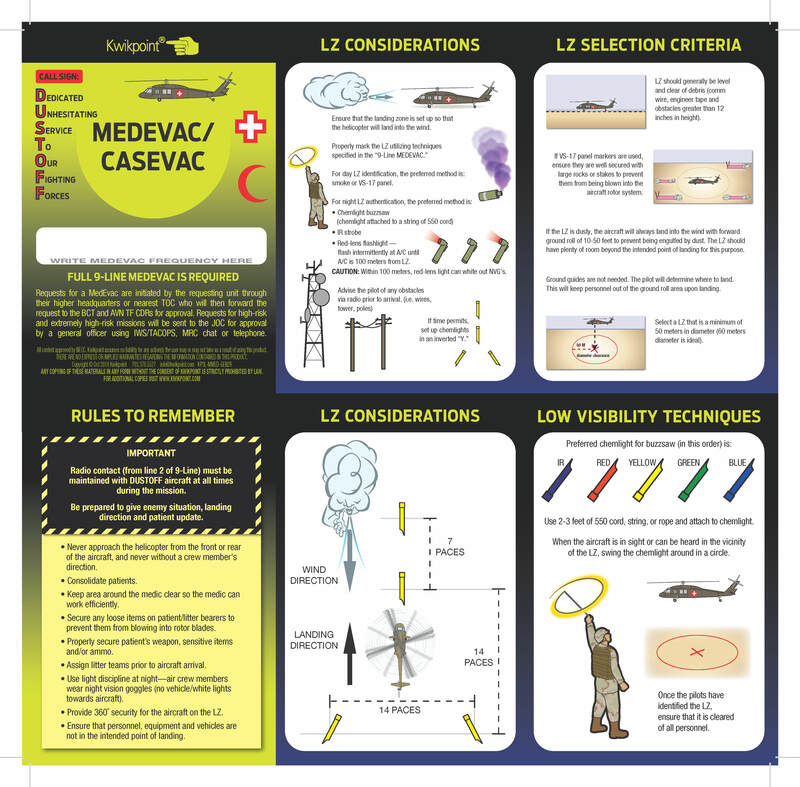 The MEDEVAC/CASEVAC Visual Reference Guide provides crucial support in the field, with easy-to-read reminders and key points including landing zone considerations, landing zone selection, and low visibility landing zone techniques. 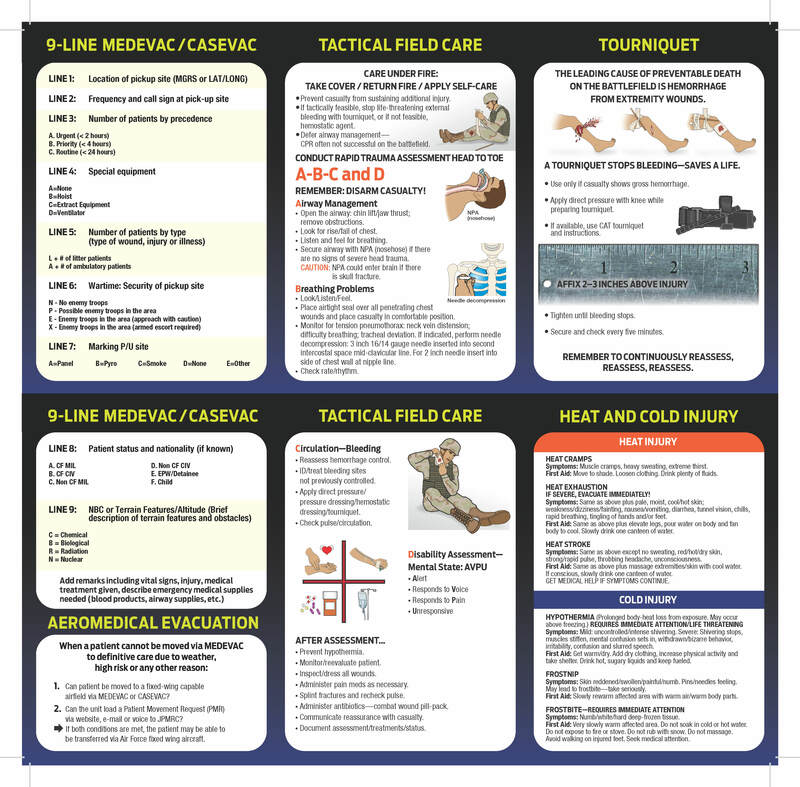 Also contains basic instruction on tactical field care under fire, tourniquet use and heat and cold injury.